I got this card in a demonstrator card swap from the talented Liane Binder from British Coloumbia. I love how Liane made a frame for her card using the Rectangle Stitched Framelits dies (one of my favourite new dies from the Stampin’ Up! Occasions Catalogue). To do this you can either cut the cardstock with both frames at the same time or one at a time. Then she used Foam Adhesive Strips to raise the frame up on the card. She coloured the image in with Blends markers (see more on Blends here) and she made the sweet little clouds with the Up & Away Thinlits dies. See the full supply list at the bottom of this post. The rabbit was coloured and then cut out with Paper Snips scissors. 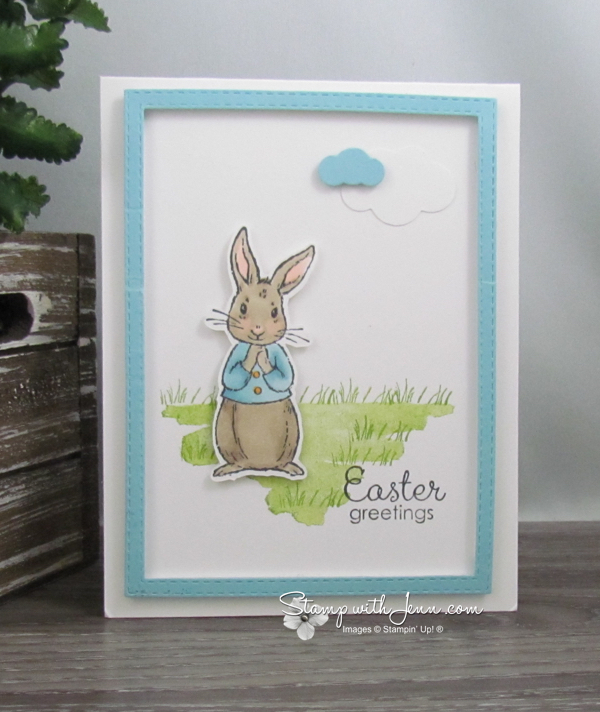 We call this “fussy cutting” because it is a little “fussy” without a matching die, but it really doesn’t take that long and the effect of the popped up bunny is worth it. The bunny image makes me think the little Peter Rabbit that I had on my son’s Beatrix Potter dishes when they were little. 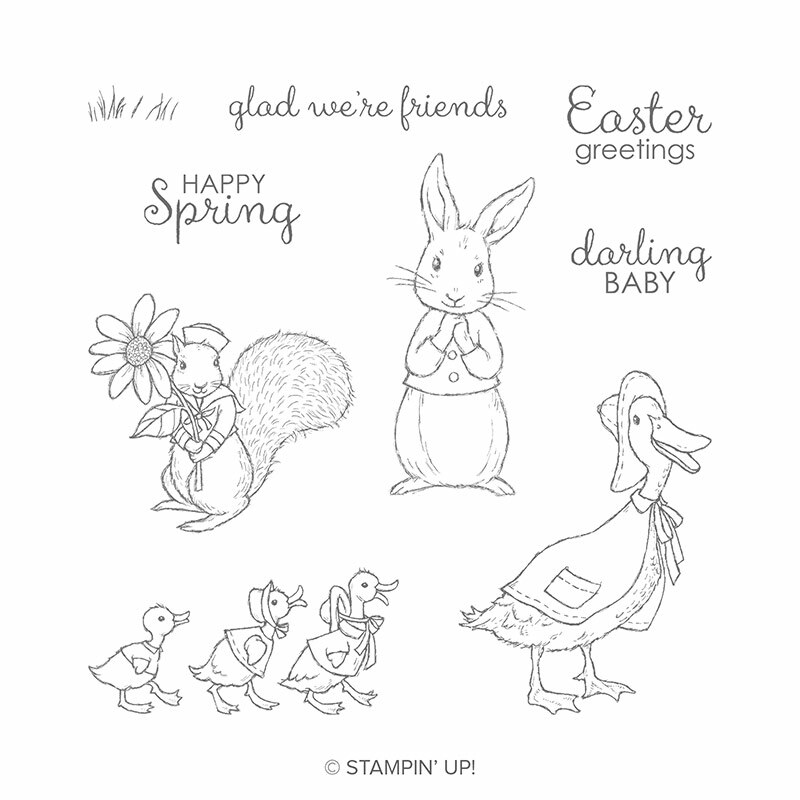 I can’t wait to play some more with this adorable stamp set. 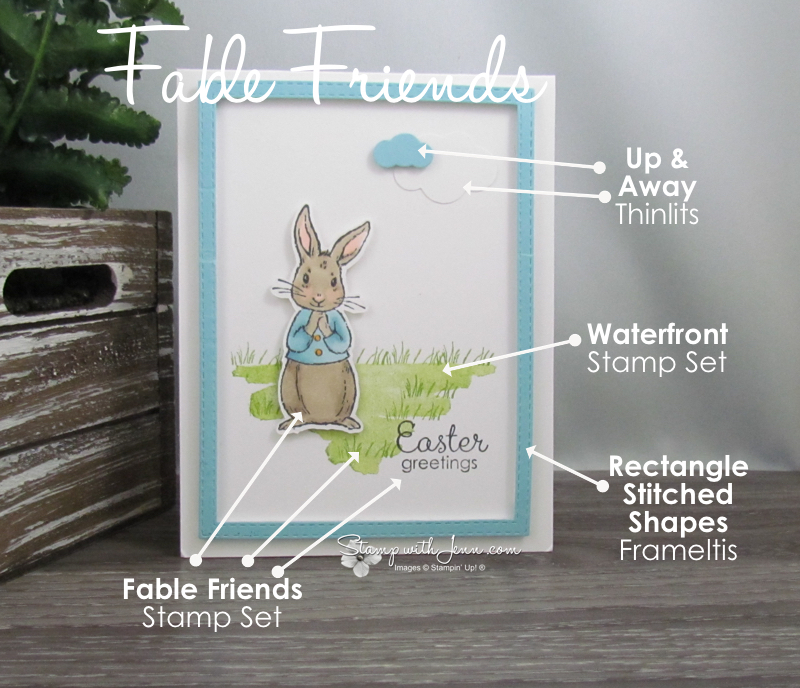 Check back tomorrow to www.StampwithJenn.com for another Fable Friends card. 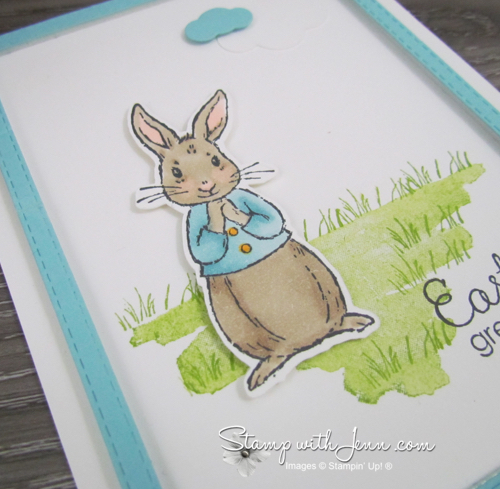 To shop for Fable Friends or any other items on this card, click on the product images above or HERE to go to my Online Store. 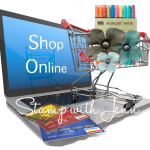 l *new* Storage by Stampin’ Up!